Through this year, we’ll be sharing DNA activations for the 11th day of each month (2018 = 11), so in this post we’ll introduce the potential for 3-strand DNA activation which is crystallizing in the collective energy field, continuing to increase its vibrational imprint as the New Earth template aligns more strongly ~ as the ascended 5D Earth and 3D Earth layers harmonize and unify. The embrace is continuous from 5D ~ from Gaia’s heart and many loving beings holding the alignment steady ~ as the 3D grid and consciousness elevates to meet in the middle, and blossom into the unity-in-love energy of the New Earth, which already exists in the eternal Now. The 11 ‘divine union and partnership’ vibration resonating through the collective consciousness this year is a great facilitator for these two layers coming into more tangible convergence in true sacred space, the meeting held steady ‘between the pillars’, within the door-frame of the zero-point gateway. (There are many higher dimensional stratas, energies and beings flowing around the Earth and Solar System, and this universe, supporting, creating, aligning and harmonizing, but we’ll focus with the 5D New Earth here, as this is the ‘vibrational platform’ currently in focus with Gaia). This is true for and within each of us; willingness to shed reactions, beliefs (including self-beliefs) and attachments that act like a holding pattern of old, limited ways of being opens the sacred space within, and allows us to stand with a crystal clear energy within the supporting Light pillars in partnership with our Inner Divine, the merged soul-self. In this space, we are in the miraculous zone beyond ‘either or’, ‘this or that’, aligning the sacred creational energy of three…and this is indeed where ‘miracles’ happen (continuously). ‘Yuan’ means ’round’ or ‘circle’ ~ the unifying vibration of the Whole. From seeing and expressing through black & white contrast, we’re shifting to expressing through the whole spectrum of light, the rainbow light body, in constant creation of new and renewing energies (the Child within) through the experience of holistic ‘lightness of being’. Pink is actually a lightened vibration of red, so you can see in both the Threefold Flame of the Heart and the Yin-Yang-Yuan vortex of creation, or triple spiral, the three primary colours within our (3D-perceived) colour spectrum, red, yellow and blue. In colour mixing, all other colours ~ the secondary colours green, orange and purple, and the array of tertiary colours created from blending the primary and secondary colours ~ all originate from red, yellow and blue in various combinations….the entire rainbow of the colour wheel. And all those colours exist within white light (which ‘triangulates’ through the centre of the the Yin-Yang-Yuan spiral) and when refracted or radiated, appears through prisms of rainbow colours. Yin-Yang represents the path or way of balancing contrasting energies. Yin-Yang-Yuan represents the way of merging radiating energies. At the start of last year I heard to shift focus and consciousness from balancing energies to merging energies, that when complimentary energies are merged in unity, they naturally come into balance. Duality-based beliefs that have been used to frame and define the nature of existence fade as the structuring vibration of expression and creativity shifts into unity, when true inner merge is aligned. Concepts such as ‘Only through darkness do we come to the light,’ become redundant in the trinary perspective and experience, which encompasses reciprocity and keeps expanding, the harmony and stability of the triangle radiating through the circle. The prime creational vibration of three has been intuited throughout human history and various cultures, represented in the sacred geometries of the triskele, triquetra, sacred triangle, trinity, trine, threefold flame and yin-yang-yuan, to name but a few, and in different periods named as Triple Goddess, Father-Son-Holy Spirit, the Three Fates, Three Graces and through many pantheons of deities with a central trinity of gods/goddesses. Meditating with these threefold symbols can help release ingrained habits of seeing/thinking/speaking/acting; just feel how they resonate within your heart, eternal and infinite possibilities of creation radiating from the beautiful harmonious core. We’re sharing these symbols in teal blue to aqua, as this particular colour vibration (from very light aqua to deep teal blue, the merge of blue and green) facilitates the threefold flame~yin-yang-yuan activation of the DNA-RNA level, in soft and easy harmony, connecting these vibrational geometries ~ the divine cosmic template they express ~ through the water element within our bodies (both physical memory of water and the higher dimensional liquid light state). Just as butterflies transition through a three-phase metamorphosis from egg to caterpillar to butterfly/moth, our Earthly frogs pass through a three phase transformation from egg to tadpole to frog. Their path is via the water element…and their celestial counterparts of the light-waves radiate rainbow light embodiment, vibrating through, and holding within, the memory-capacity of water in every cell in our bodies. For February, we’ll share a more focused practice for triple-strand DNA activation through this year, but in January, if the above resonates for you, simply begin activating this potential that exists within your being by holding the intention in your heart to initiate the third phase of Ascension, the inbuilt ability for ‘lightness of being’, crystalline light embodiment….and visualize bathing in aqua-teal blue light, immersing in this colour, bathing in peace, love and joy. 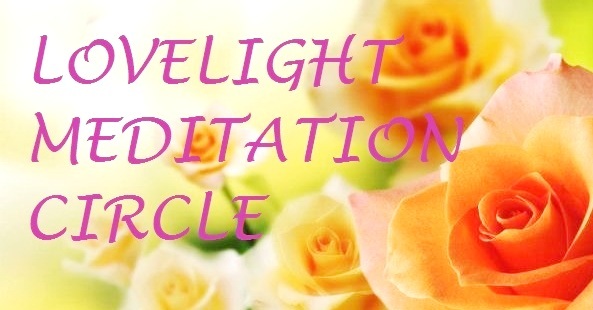 Relax deeply in your heart, and let strands of the silver light of transcendence and golden light of resurrection flow through the teal blue, as if moonlight and sunlight are blending into it, spiralling gently through you. *If you work with Inner Heart meditations, you might like to create an aqua-teal blue bathing pond in there. Creative visualization within/through your Inner Heart realm moves and transforms energies. For an introduction to the Inner Heart, see this page. *For more about the Threefold Flame of the Heart, and Sacred Flame meditations, see this page.